We continue our salute to brewhouse purchasing this week with a look at buying trends. Ever wonder what all of your craft brewing peers are buying these days? Of course you have, you nosy O’Donnell. Well, you’re in luck because no one is nosier than your pals at CBB. To help us answer this question, we turned to Kinnek, the ultimate craft brewery purchasing marketplace. Learn more about them here. Last year we asked a similar question and looked at the answers by region. Last year, the “brewhouse belt” stretched from Montana down to New Mexico as well as an active corner in the northeast thanks to Vermont, Maine, Rhode Island and New Hampshire. Table: Here we see the most requested and least requested craft brewing supplies within the Kinnek marketplace in 2015 (percent change compared to 2014). Remember that equipment purchasing is more tied to industry expansion, so a slight dip in brewhouses could indicate a subtle slow down in the massive year-over-year growth in overall breweries. But because Kinnek is a group of overachievers, the team also sent over this fun heat map that shows the “State of the Union” for breweries in 2015. 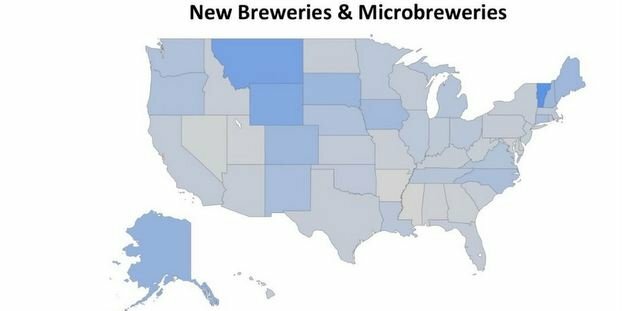 Here Kinnek shows us the states with the most breweries in 2015 (adjusted for population) on the left and the states with the greatest increase in craft breweries on the right. All of this is based on the number of requests through its system. Last year, much of Kinnek’s requests per capita for brewery equipment and supplies came from the Northwest region of the United States, with Vermont and Delaware representing the East Coast. Now that you know what everyone has/wants, it is time for you to go out and get it yourself. Head to Kinnek, use its price estimator and get the best deal. 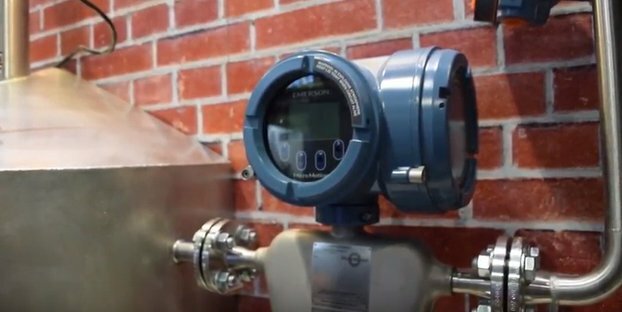 But before doing that, you may want to check out our massive brewhouse equipment buyer’s guide.